Fax marked urgent – hurry to give to the chef, e-mails, replying to the crate – disassemble a pile of letters and a few parcels that were brought by the postman, the urgent need to "throw" Department, and the employee leave request written. Then you and the is and important accounting documents. Tough job of the Secretary! It is worth losing one "paper", as it turns out that it depends on the fate of the organization and your career. So you can always find a particular document, you need to know how to register the correspondence. To register all incoming and outgoing correspondence, and, on the day of receipt or sending. Registration is subject to correspondence of all kinds: mailings, emails, faxes, handed over personally to the message. Important e-mails (incoming and outgoing) need to be printed and to register the same as other types of correspondence. In addition, it is necessary to record the internal correspondence: memos, memos, explanatory notes, statements, complaints. In order to register the correspondence, get a special log. Depending on the volume of correspondence of a particular type, you can get the total logs of incoming and outgoing correspondence, or further break them down by types. For example, make a journal for registration of incoming and outgoing emails. Regardless of the volume of correspondence, it is convenient to make a separate journal for registration of incoming and outgoing faxes. If you have no special log of correspondence printed in the printing house, take an ordinary notebook, and ashrafia her. In magazine of registration of incoming letters indicate the number of messages, date of receipt, as well as the correspondence type if you have a common log for all types of messages, from email to Fax. In a separate column describe briefly the contents of the letter. In the adjacent column enter the resolution of the head and the name of the person who the letter was submitted for execution. In practice, if the question is controlled by a specific person, many letters do not reach the head, and immediately transmitted to the contractor, so don't make this column great. Under the name of the artist or next to it is desirable to leave the place for signature evidencing receipt of the document. If the supervisor instructed the Secretary to monitor the "execution" of the document, in a separate column in red ink, put a control mark (the letter "K" or the word "control"). After completion of execution of the order associated with the document, check the box on the execution and transfer letters "in the business" (specify the case number and the date of its formation). A log of correspondence needed for all outgoing messages. In the log of outgoing email count is less than the log of incoming correspondence. As in the magazine of registration of incoming letters, make in the register of outgoing letters column with the sequence number of the letter, the box with the date, only to have the administration, with a view to send correspondence (if necessary), with brief content of the message, the name of the originator of the document (letter) and column number of the case, which was filed a copy of the message. Special to record correspondencethat you send in the mail. 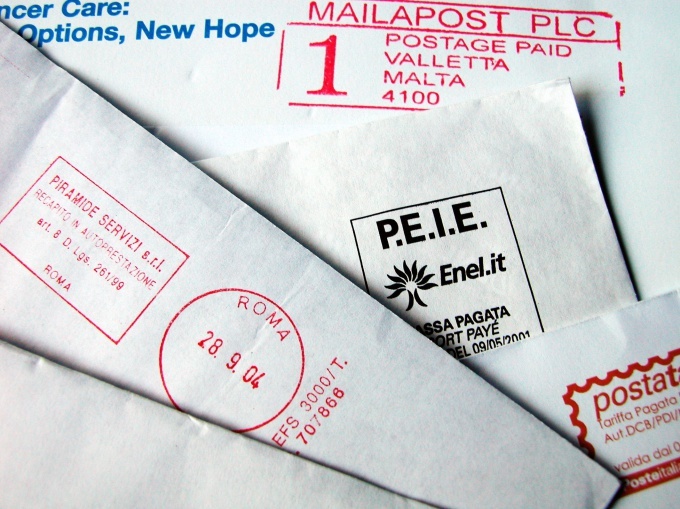 Registration letters sent by mail, is made on the letterhead of the organization. Better to send one at a time not more than 7-10 letters. By hand or on the computer, on the form write the date below for each emailed letter, specify the serial number of the record, the name of the organization, its location (you can only specify a city or region). Right leave a bit of space. Here after receiving in the mail a check need to write out the numbers of Postings (typically 6-8 digits). Below the name of the organization for each shipment, enter the number and date of sent documents, or other details allowing to identify them. In the mail this list shall be certified by the postal stamp. Hemming it in separate folder or in the folder where outgoing emails. To register each type of internal correspondence need a separate magazine. In each journal specify the document number, its date, the name of the compiler, an outline, a resolution Manager, the surveyor, the control mark and the case number. Beginners secretaries, and those who leave to work in a new organization, the question may arise about whether to register the advertising letter. In most cases, such letters can not register to save time and paper. However, for the first time, get a thin notebook and a folder to record and file of such correspondence. When you will be aware of the interests of employees and the head, it will be easier to understand – whether your attention one or the other document. There are now electronic document management system that allow you to save paper resources and also reduce the time of search of the registered document. In addition, such systems can help a little to relieve the Secretary, so as to register the documents will be available to all interested employees on the computer where this software is installed. If your office establish a system, make sure that employees know how to correctly register the correspondence, and do not forget to do this.